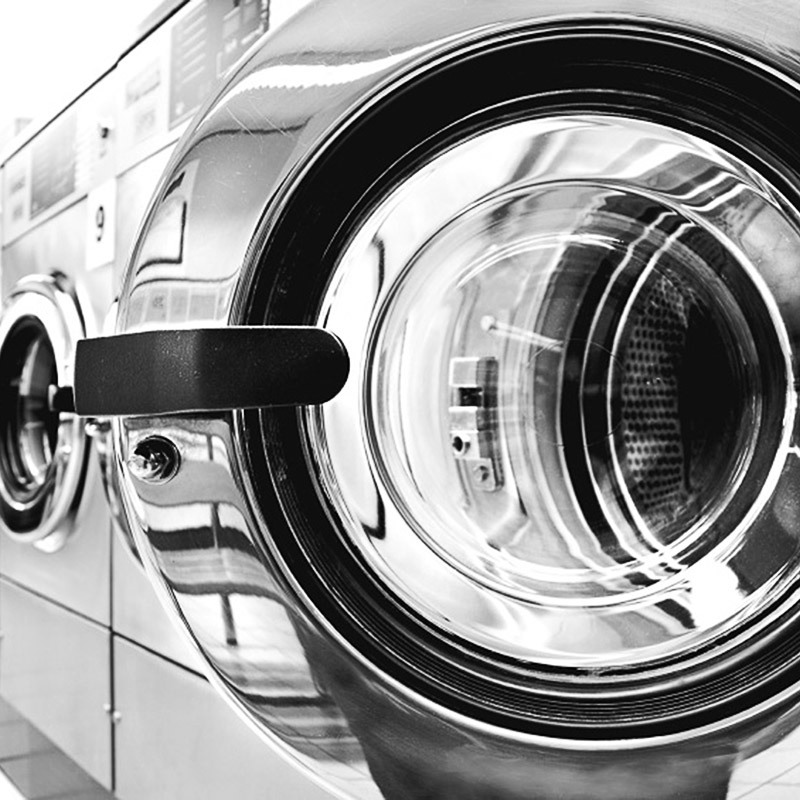 With modern washing machines, energy efficiency and environmental protection are becoming increasingly important. In order to achieve optimum results, the load must be measured before the washing starts. This load measurement enables an optimum and maximum load for the machine to be determined, as well as the appropriate dosage of detergent. This reduces operating costs, while also protecting the environment. A direct weight measurement using e.g. load cells is expensive. An indirect measurement of the damper displacement is much more cost effective. Micro-Epsilon offers low cost solutions for displacement measurement in high volume production, namely the magneto-inductive MDS-40-LP-F displacement sensor, which is directly integrated in the damper.